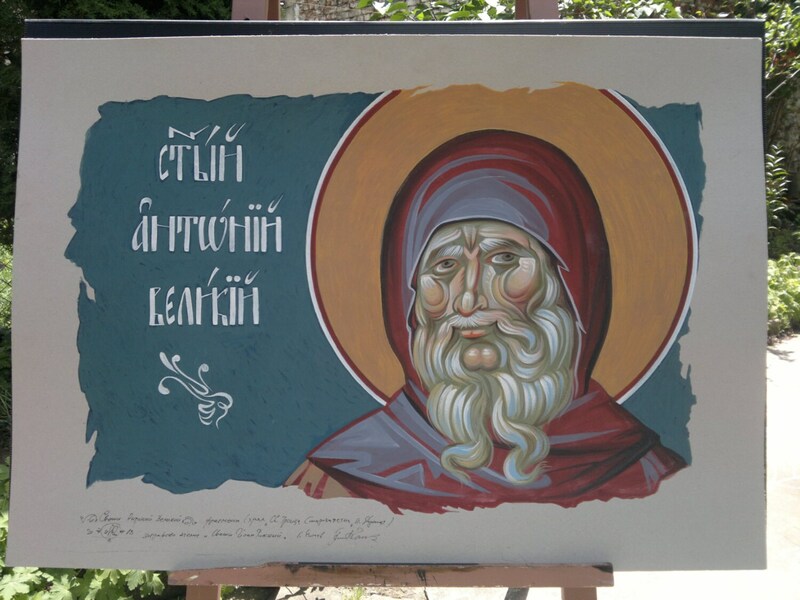 MINOR DIFFERENCES ARE POSSIBLE BUT YOU WILL BE PROVIDED PICTURES OF THE ACTUAL PAINTING YOU ARE RECEIVING. IT WILL BE AN UNIQUE ITEM MADE JUST FOR YOU! 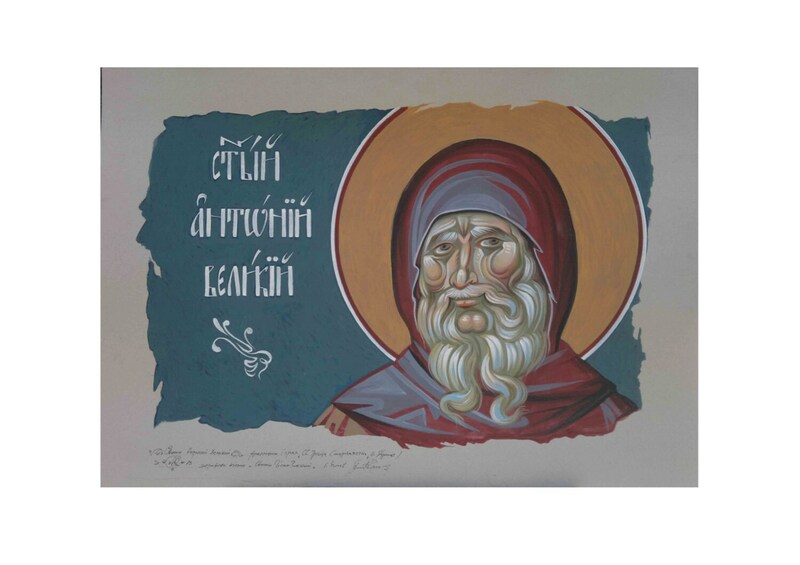 The images present to you this beautiful St. Anthony the Great hand painted fragment on cardboard created by Bulgarian artist Georgi Chimev. 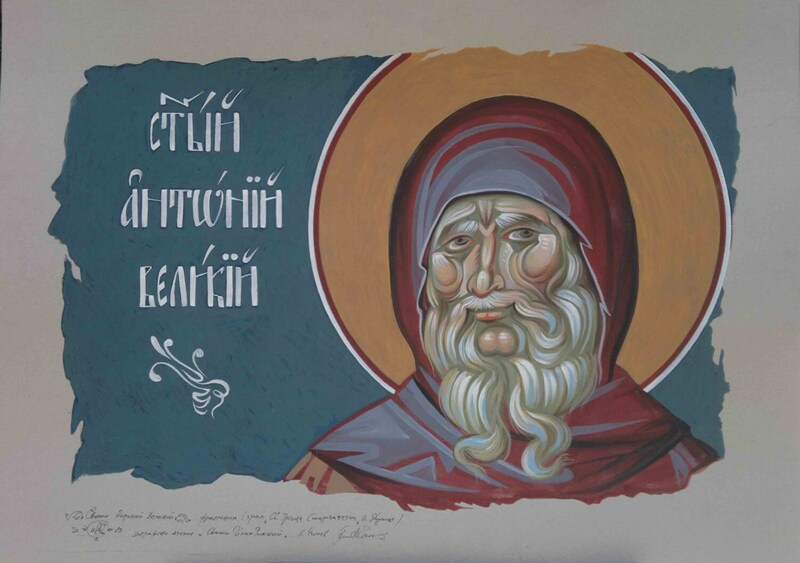 If you looking for a unique birthday gift, wedding gift, special gift these hand painted fragment on cardboard of St. Anthony the Great is for you. 101 cm x 71 cm approximately 39.76 x 27.95 inches.